The President of Grinfinity was among 200 leading representatives of business, government administration, local government, agencies and institutions attending the meeting devoted to the Economic Diplomacy on foreign markets. The event was organized by the Ministry of Foreign Affairs at the beginning of this week. Building and promoting the strength of Poland brand requires active involvement of the MFA&rsquo;s economic diplomacy and all polish market participants. 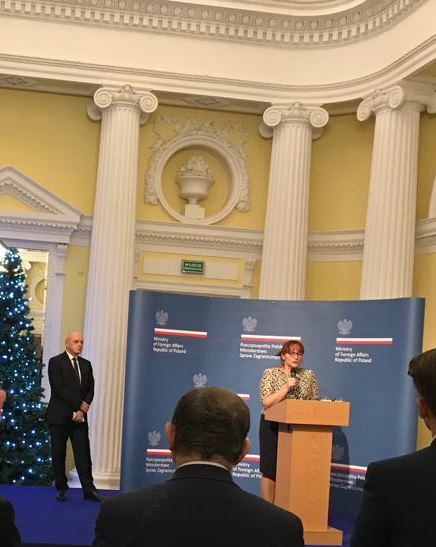 Supporting Polish start-ups and high-tech solutions in the sector of green technologies will be the core of the MFA’s actions and efforts in the upcoming year. Next:There is a new version Grinfy M&A!